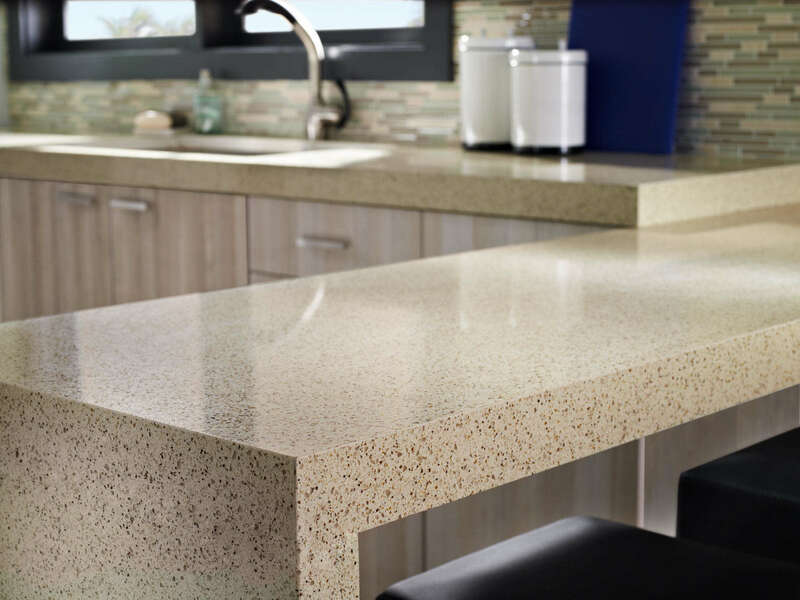 The quartz crystals in Corian® Quartz capture and reflect light, bringing a lively and unique look to any application. The expansive color palette ranges from a subtle effect created by finer crystals to a more dramatic impact achieved with larger crystals that shimmer and add radiance to the surface. Quartz is one of nature’s hardest materials, making Corian® Quartz extremely resistant to scratches, chips, cracks and chemicals. In addition, the beauty of the quartz runs all the way through the Corian® Quartz slabs, so the color won’t wear off or rub away. 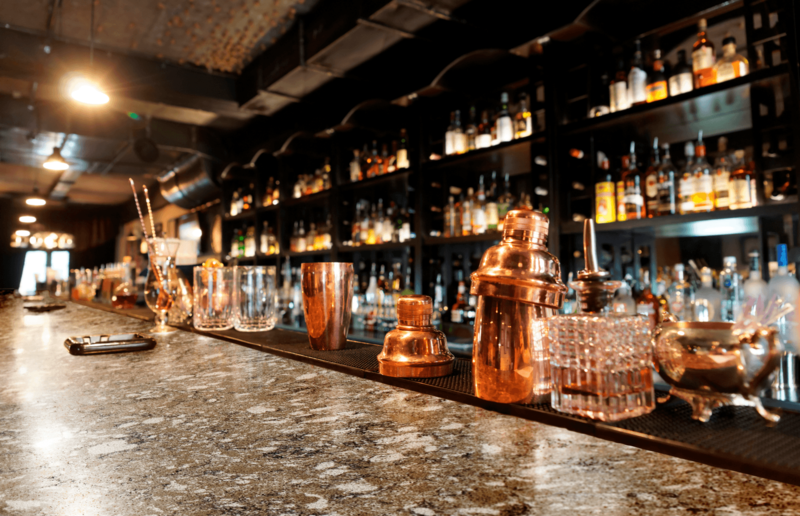 The controlled manufacturing processes used to create Corian® Quartz assure that there is consistent color, shading and quartz crystal distribution from slab to slab, so there are no unpleasant surprises when countertops are installed. And with Corian® Quartz, the color palette goes beyond that of unimproved stone, without the cracks or irregularities. The smooth, nonporous surface of Corian® Quartz will resist stains and retain its luster for years without the need for sealants or waxes. A damp cloth or paper towel can clean most dirt, and if necessary, a small amount of non-bleach, nonabrasive cleanser can be used to remove any stubborn residue. Corian® Quartz is 93% pure quartz crystal, which gives Corian® Quartz a natural depth and radiance without the imperfections common in unimproved stone. And because quartz is one of nature’s strongest materials, Corian® Quartz is also incredibly durable and resists both heat and scratches. Custom-fit to your exact specifications and virtually maintenance free, Corian® Quartz is perfect for your home and many other applications. Hygienic – Unlike tile, wood or unsealed granite, Corian® Quartz has no pores or voids so it does not promote the growth of mold, mildew or bacteria. When Corian® Quartz looks clean, it really is. GREENGUARD Indoor Air Quality Certified – Corian® Quartz has been tested by the GREENGUARD Environmental Institute, and has surpassed their requirements for indoor air quality, low volatile organic compound (VOC) emissions. Contributing to Green Building Design – The U.S. Green Building Council developed the LEED Green Building Rating System as a standard for designed high-performance, sustainable buildings. Since Corian® Quartz is a long-lasting material that emits low VOCs, it can help your project earn LEED points in several categories. With its strength and luster, Corian® Quartz is an elegant choice for those who love the beauty of real stone. Corian® Quartz can be used for countertops, tabletops, wet bars, vanity tops, shower and tub surrounds, home offices and even vertical applications like walls and facings. My Room Designer gives you the power to quickly compare and combine kitchen and bath surfaces and color schemes, so you can visualize your ideal space.